DHC is a Japanese beauty brand that I heard about but only recently started trying out. Their products range from skincare through to makeup and accessories. 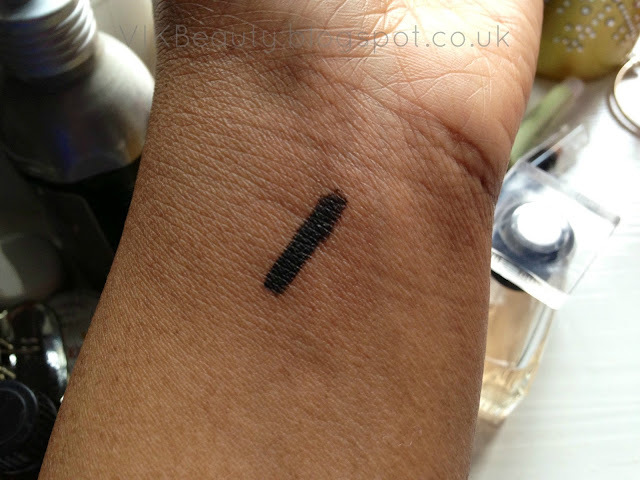 I have been using this DHC Liquid Eyeliner EX for the past month and really really like it! If you read my blog, you will know that I've been a gel eyeliner lady forever. I've used the MAC gel liner for as long as I can remember and have always wanted to try something new. 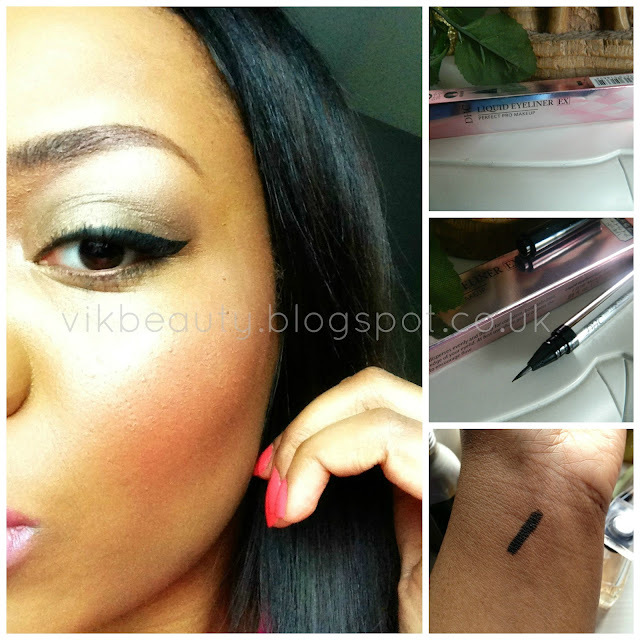 This eyeliner is waterproof and dries quickly with an extremely rich pigment to it. The pigmentation is what really caught my eye. As you will see from the pictures below, it is a bold rich pigment with a matte finish to it. The brush tip is extremely fine and perfect for definition and precision when you're drawing on your eyeliner. To use, you simply shake the pen to encourage flow and the eyeliner dispenses fluidly. Like I said above, I really like this eyeliner. It's great for being as precise as you want to be when drawing on your eyeliner. I found that it didn't smudge at all which was fabulous. If you're like me and you have a tendency to touch your eyes now and again, then this product will be good for you. The brush tip isn't stiff which is good if you have short curly lashes like I do. You can really get in close. One thing I would say is that, as it's not stiff, you have to be careful when applying it if you're not comfortable using liquid eyeliners. You have to "guide" the pen (hope that makes sense!). The packaging is elegant. It could pass as a pen and fits perfectly into your makeup bag. The eyeliner retails at £16 for 0.5 ml. You can pick this up online (click here), or at Beautymart at Harvey Nichols in London. 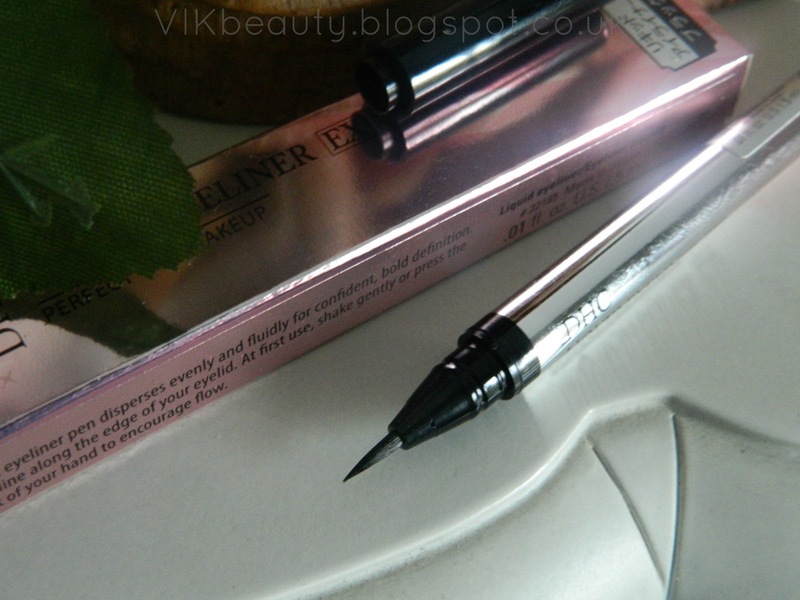 Have you tried this DHC Liquid Eyeliner EX before? Im following you via bloglovin!! This looks amazing! I need a good gel liner myself - great photos! This looks gorgeous on you. I love the shape of your eyebrows too.